Everything tastes better homemade; even ice cream! 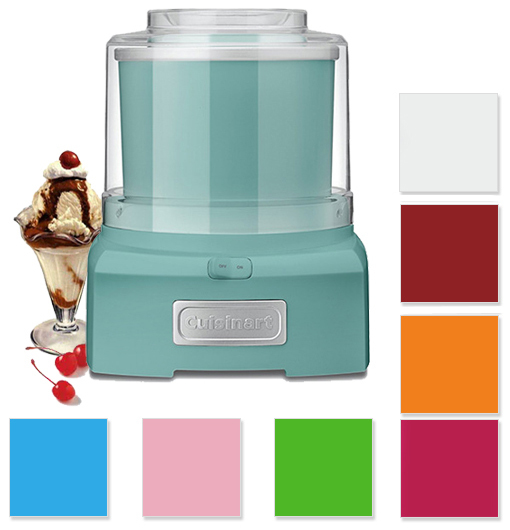 The fully automatic Cuisinart Frozen Yogurt Ice Cream Sorbet Maker lets you make your favorite frozen dessert in less than 20 minutes, with no fuss and no mess. Just add the ingredients to the bowl, press the “on” button, and let the machine do the rest! The double-insulated freezer bowl eliminates the need for ice, and the easy-lock lid has a large spout that makes adding ingredients simple and mess-free.